My father's love of the forest and woodcraft rubbed off on me. 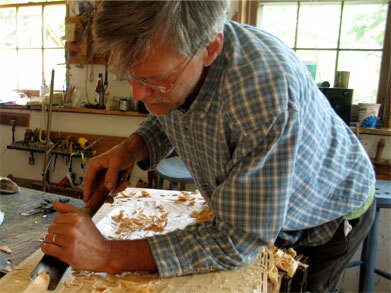 It has been very satisfying to express these early influences through my Windsor chair making. I finished my formal education at Dartmouth College in 1970, chosen largely because of its outdoor orientation, and began my woodworking soon after.